It's been a while since BitFenix have released an M-ITX case as good as the all conquering Prodigy. Sure, there were a few variations on the theme, but for the greater part they all used pretty much the same chassis. As the chaps over at Betfenix have never been ones to rest on their Laurels, and perhaps with the need for a refresh in mind, they got busy with the old slide rule and have released the new Portal case. First impressions are good, the case is Aluminium over a steels chassis, with hardly a sniff of plastic to be found save for the acrylic window in the top from which we're assuming the Portal takes its name. We say assume, as strictly speaking a portal is an entrance or a gate, but can be devolved to mean a way of viewing into another realm. Also you can actually buy a Portal without the window, so that would make it a portal-less Portal. Anyways, best we stop rambling and have a look at the tech spec and see what lies beneath the stunning Aluminium skin. Material Aluminium skin over Steel Chassis, Acrylic Window. Absolutely wonderful. Yeah the cooling's a bit pants but look at it, beautiful ! I wonder where they got this design from? 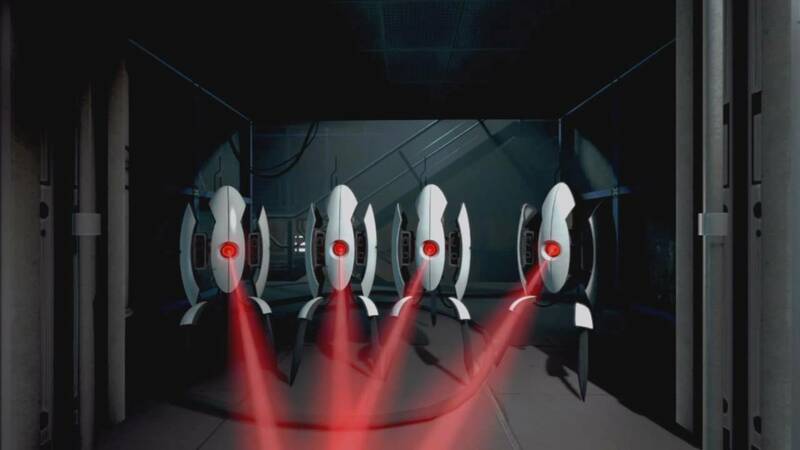 I can't wait to see portal turret themes case mods!